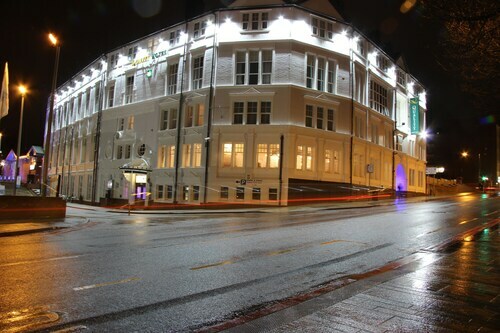 Situated in Stoke-on-Trent, this spa hotel is within 1 mi (2 km) of The Potteries Museum and Art Gallery, Potteries Shopping Centre, and Regent Theatre. Staffordshire University and Vale Park are also within 3 mi (5 km). Situated in Stoke-on-Trent, this hotel is 0.3 mi (0.5 km) from Britannia Stadium and within 3 mi (5 km) of Staffordshire University and Gladstone Pottery Museum. Trentham Gardens and Royal Stoke University Hospital are also within 6 mi (10 km). Situated in Stoke-on-Trent, this hotel is within 1 mi (2 km) of Staffordshire University and The Potteries Museum and Art Gallery. Regent Theatre and Potteries Shopping Centre are also within 2 mi (3 km). Stoke-On-Trent Station is only a 1-minute walk. Located in the heart of Stoke-on-Trent, this hotel is within a 5-minute walk of Regent Theatre, The Potteries Museum and Art Gallery, and Potteries Shopping Centre. Staffordshire University and Vale Park are also within 3 mi (5 km). Stoke-On-Trent Station is 27 minutes by foot. Situated in Stoke-on-Trent, this hotel is 2.2 mi (3.6 km) from Gladstone Pottery Museum and 2.8 mi (4.6 km) from Parkhall Country Park. Britannia Stadium and St Giles Catholic Church are also within 6 mi (10 km). Blythe Bridge Station is 19 minutes by foot. How Much is a Hotel Room in Stoke-on-Trent? Hotels in Stoke-on-Trent start at $40 per night. Prices and availability subject to change. Additional terms may apply. Are you planning on spending time in Staffordshire and hoping to reserve a place to sleep around the hustle and bustle of Stoke-on-Trent? You will find 3 accommodations in and around town that ought to work for you. 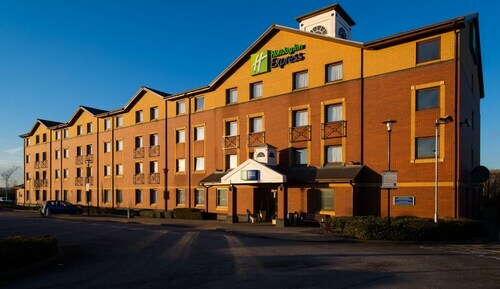 Look through a range of Travelocity places to base yourself to be located within a 6 miles (10 kilometers) distance, such as the Holiday Inn Express Stoke On Trent and Best Western Stoke East. Etruria is a convenient hotel-dense area. It can be found about 4 miles (6 kilometers) from central Stoke-on-Trent and features some 2 accommodation options. 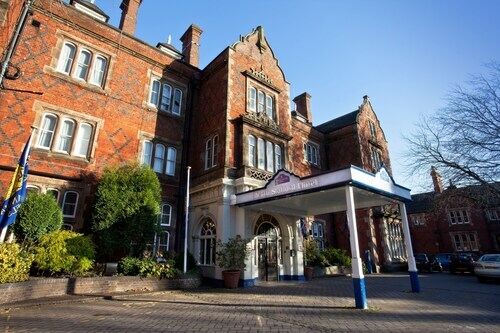 The North Stafford Hotel Town Centre and Quality Hotel Stoke are amongst the Travelocity-listed hotels in Etruria. One of the small number of cheaper hotels in Stoke-on-Trent is the The George Hotel. The Best Western Plus Stoke-on-Trent Hanley Moat House Hotel is about 4 miles (7 kilometers) from the downtown area of Stoke-on-Trent. 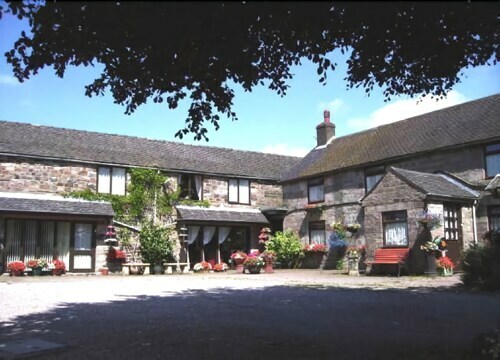 On the other hand, the Old Hall Hotel is 18 miles (29 kilometers) away. You could also make a reservation at the The Swan Hotel or the Colton House. 8 miles (13 kilometers) west of Stoke-on-Trent modern travelers will find Burton on Trent, home to the Staffordshire University. Newcastle-Under-Lyme is home to a number of good Travelocity-registered hotels and apartments. Stop by Burton on Trent, where you can explore the National Brewery Centre. Burton on Trent is found 20 miles (36 kilometers) to the southeast of Stoke-on-Trent. The Hilton Burton St Georges Park and The 3 Horseshoes are all good places to retire for the night. When sport is your most-cherished pastime, take the time to visit Old Trafford, which you can find 30 miles (51 kilometers) to the north of Stoke-on-Trent. Book accommodation right near the action at the Dreamhouse Manchester Bloom Street or the The Lowry Hotel. Located 25 miles (40 kilometers) from downtown Stoke-on-Trent is Manchester Airport. Stay nearby at Radisson Blu Hotel Manchester, Airport or Manchester Airport Marriott Hotel. Beautifully quaint guest house. Knew we were running late to check in and they made all arrangements for us to get situated, even upgraded us to the honeymoon suite! 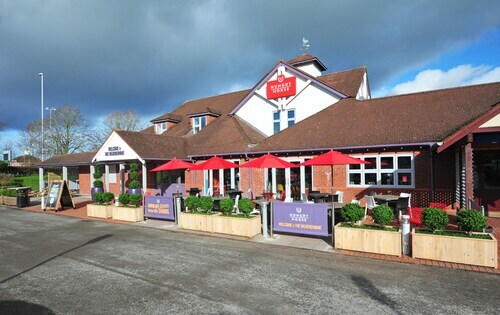 Perfect location for Alton Towers, wonderful breakfast and spectacular views!